Mini 3dr Interior, Sat Nav, Dashboard | What Car? The driver's seat is comfortable and has a wide range of adjustment as standard, including for height. The controls can be hard to reach, though, particularly the lever that alters the angle of the spring-loaded backrest. Shorter drivers might also struggle to slide the seat far enough forward to comfortably push the clutch all the way down. Due to the space restrictions of a compact interior, the three pedals sit a little off centre. They’re also quite close together so big shoes can end up getting caught on neighbouring pedals – drivers with larger feet will need to exercise a delicate touch. Compared to more conventional rivals, the retro-themed dashboard looks rather higgledy-piggledy. There are a few quirky features that take time to get used to, such as an engine start toggle positioned at the base of the centre console. Happily, other important controls are conveniently positioned and easy to use. 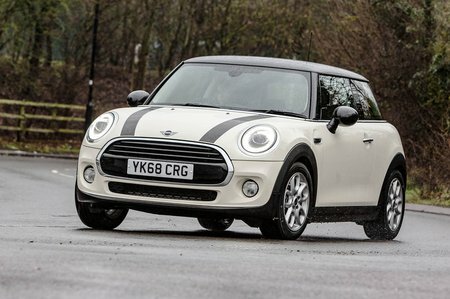 The Mini has great all-round visibility, including a decent over-the-shoulder view, thanks to fairly slim pillars, and its compact shape means it’s easy to judge the car’s extremities. Bright LED headlights and rear lights in a Union Jack design come as standard, while adaptive headlights, which dip automatically when another car is approaching, can be added as an option on all trims. 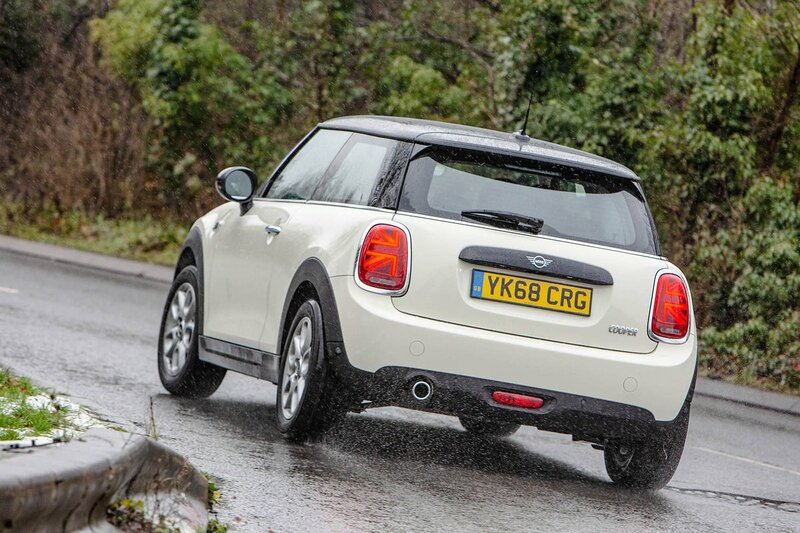 Thanks to great visibility, the Mini is not a difficult car to park, although you can add front and rear parking sensors, as well as a reversing camera. You can also add an automatic parking system that will steer the car into a space for you. As standard, the Mini gets a 6.5in colour screen, with Bluetooth, a digital radio and a USB input. The screen is controlled via a rotary dial and shortcut buttons positioned in front of the gear lever. Access to everyday functions is relatively straightforward, although menus for some of the settings are hard to find. Sat-nav comes as part of a Navigation Pack that’s optional on all models and also brings Apple CarPlay smartphone mirroring. You can spend more on the Navigation Plus Pack and get an 8.8in screen with a split-screen function, more advanced sat-nav, wireless phone-charging, a second USB port and a feature that allows you to enter information by writing on a touchpad. The latter is helpful if, for example, you’re trying to input a postcode, but it can be a little fiddly to use. It isn’t cheap to upgrade to this infotainment system, but we reckon it's the best available in any small car. 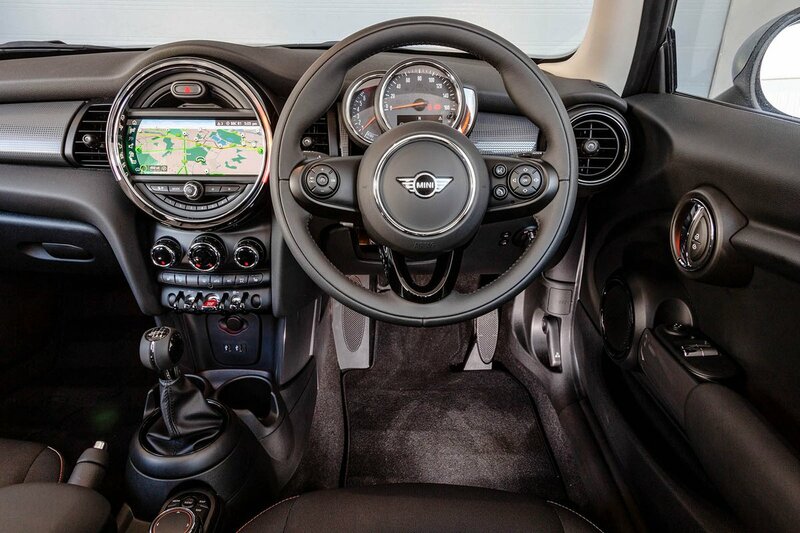 The Mini has a premium image and the interior lives up to that, with plenty of soft-touch plastics on the dashboard, as well as solid-feeling knobs and switches. It looks great, too, with a cheerful design that’s made to feel special by touches that include extensive ambient lighting. However, there are a few areas where the plastics feel a little cheaper, with some sharp edges around the seat adjustment switches.